Shoutout to @CSNPhilly for featuring PSU, @dsmirnov17 & @nikitapavlychev on @NHLFlyers show The Orange Line! 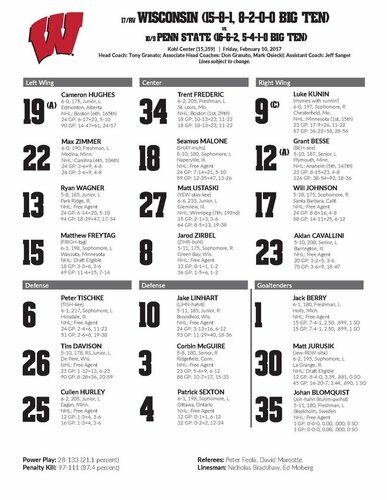 Another big one for the boys tonight. No. 17 Badgers take on No. 10 Penn State in 90 minutes. 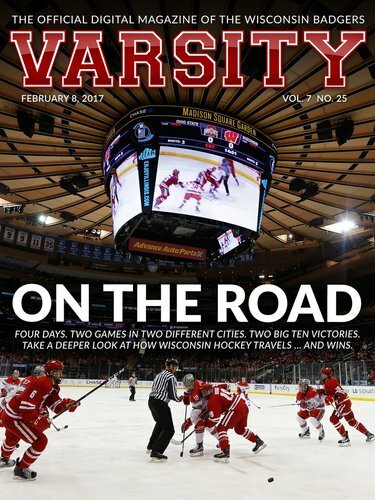 If you haven't checked out this week's Varsity Magazine, you really should. 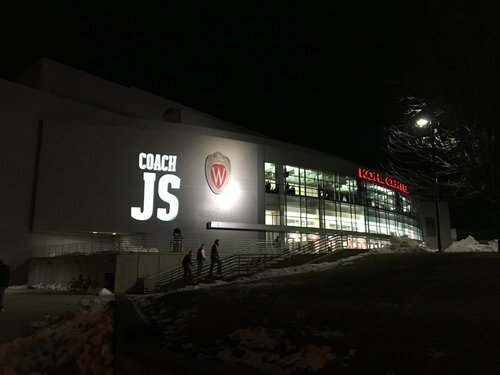 ICYMI, take a look at the tribute to Jeff Sauer. There will be a video tribute during the 1st intermission tonight. 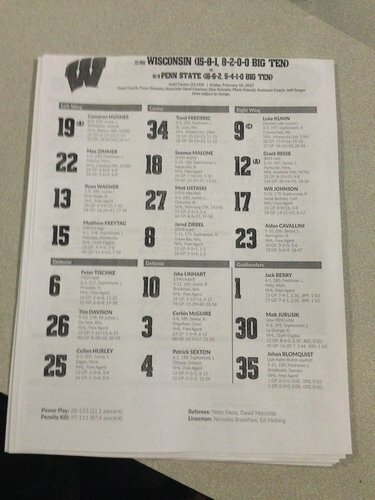 About 15 minutes until UW and Penn State face off at the Kohl Center. 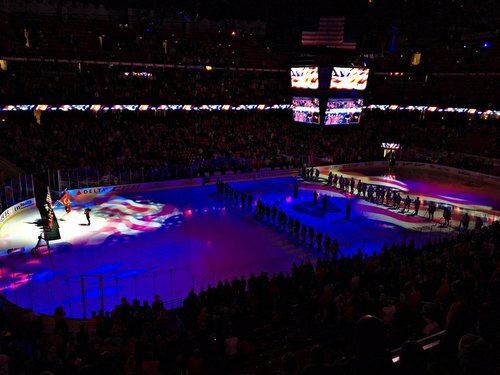 Looks like the crowd will be somewhat less stellar than vs. Minnesota. 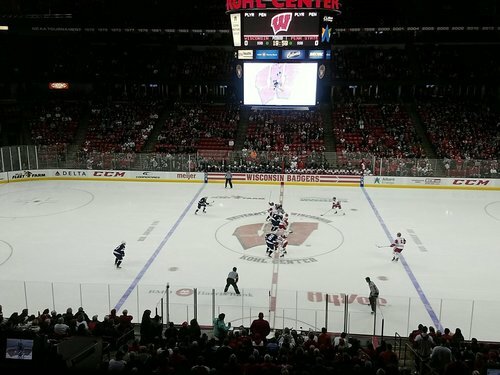 We're underway in Madison! 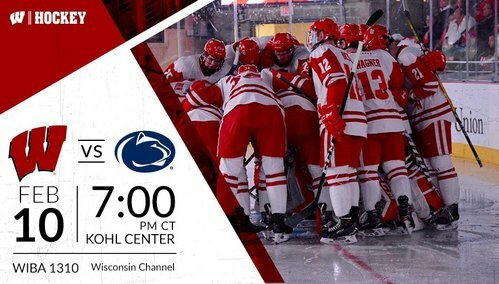 The 15-8-1 Badgers take on the 16-6-2 Nittany Lions of Penn State! First rotation through the lines is spent mostly in the Penn State end. No score 3 minutes in. Good offensive pressure from the Badgers in the first four minutes. All the play has been in the Penn State defensive zone so far. Teams feeling each other out here early. 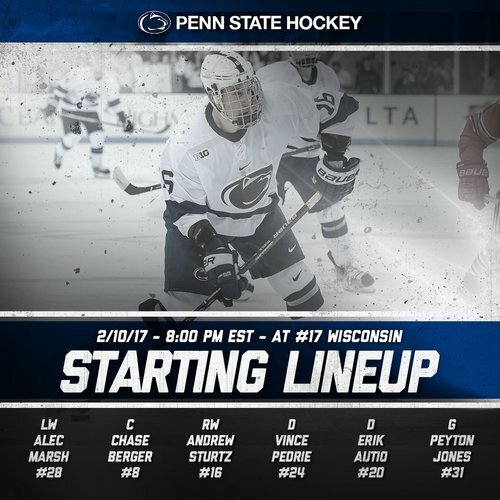 Wisconsin leads 4-2 in shots, but DeRosa had the best scoring chance of the game so far for PSU! UW and PSU are scoreless at the first TV timeout. 14:40 left in the first. Shots on goal are 4-2 for UW. UW's Tischke gets called for interference. PSU gets the first power play with 13:50 left in the first. 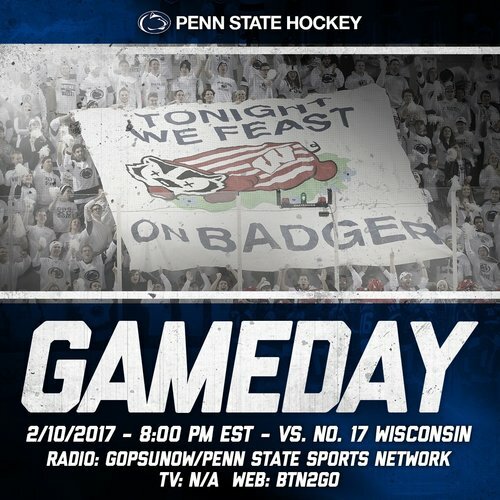 Penn State will now have the first PP chance of the game as Wisconsin heads to the Sin Bin on an interference call at 6:10 of the first! 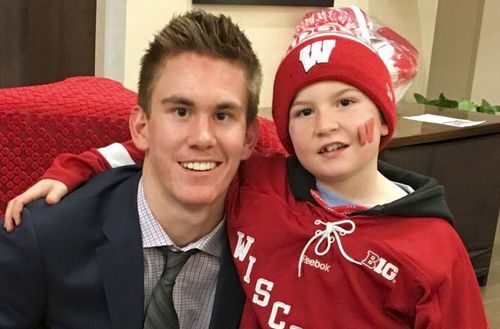 Tischke is whistled for interference and the Badgers will send out the PK unit for the first time. 13:50 left in the first. Penn State cashes in to make it 1-0 with 13:10 to go in the first. NITTANY LIONS GOAL: David Goodwin gets the far corner from the right wing circle on the PP. 1-0 PSU with 13:10 left in the first. 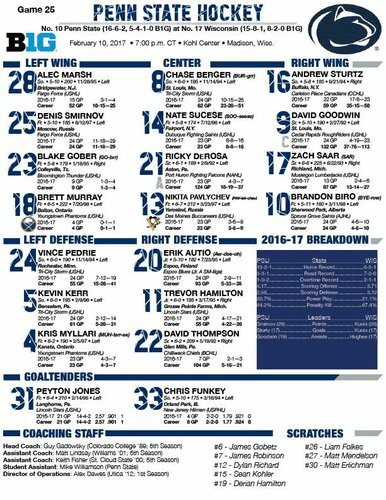 Penn State is 11-3-2 when scoring first. 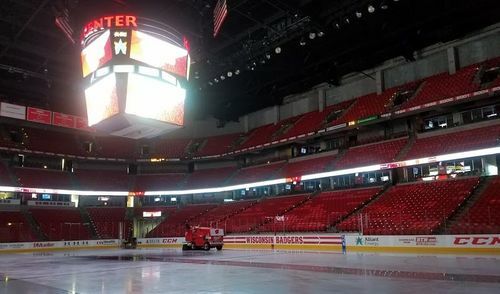 UW is 3-7 when allowing the first goal. PSU gets another one to make it 2-0. 10:56 to go in the period. NITTANY LIONS GOAL: Brandon Biro is left alone in front, and he makes it 2-0 with 10:56 left in the first.